How can you help Australian dairy farmers? 30 Jun How can you help Australian dairy farmers? Australian dairy farmers need your help – here are some tips to get the most out of your purchasing power. Just before the end of the last financial year, Australia’s largest dairy producer, Murray Goulburn, announced they would be cutting prices paid to Australian dairy farmers for their milk. This cut, of around 15 per cent, was quickly taken up by the world’s largest dairy exporter, Fonterra. 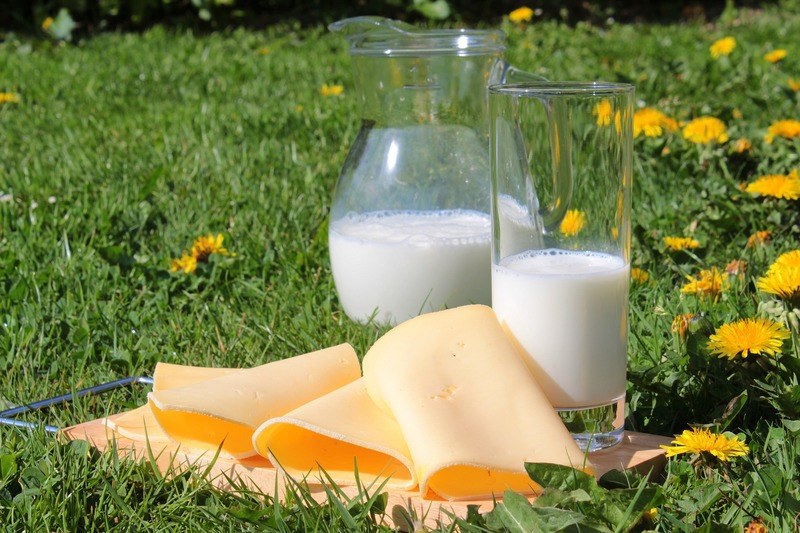 Around 60 per cent of Australian dairy farmers supply these two companies, and between 6 and 10 per cent of this dairy supply is provided to the domestic market, with the rest exported as commodities such as milk powder and cheese. The price being paid has been slashed to an unsustainable level, with cost of production now out-weighing dairy farmers’ potential profits. The price cut has been retroactively applied, leading many dairy farmers into debt as they now owe Murray Goulburn and Fonterra for 10 months of “overpaid” milk. This unprecedented cut is reportedly the result of low global milk prices, which have fallen around 60 per cent since 2014. Given this knowledge of the supply glut, the ACCC is investigating Murray Goulburn and Fonterra for the timing and severity of their price cuts. In the meantime, Australian dairy farmers are suffering. Recent reports have detailed family farms forced to close and a number of suicides by farmers unable to cope with the sudden debt demand. The flow-on effects of the milk price crisis may extend to other industries, as the spending power of farmers is drastically reduced. The transport industry may feel a pinch, along with other rural providers, such as suppliers of farm equipment. If you want to support Australian dairy farmers as they struggle to cover costs, there are a few things you can do. Unfortunately, it isn’t as simple as boycotting Coles’ and Woolworths’ $1/litre milk specials. The market share of these cheap milks has fallen from 65 to 50 per cent, with consumers choosing to spend $0.90/litre extra on branded milk. Buying more expensive milk does increase the amount of money in the supply chain, which theoretically would allow processors more room in their margins to pass additional profits on to farmers. However, processors have failed to confirm that they will pass these extra profits on to farmers. Further, many Australian dairy farmers supply milk for branded and supermarket-label products, and they are paid the same rate for their produce, regardless of which item their milk goes into. As Murray Goulburn is a co-operative, with two thirds of shares held by their suppliers, 3.5 per cent of eventual profits will be distributed to these farmers in dividends. The best advice for Australian consumers is to purchase Australian milk and milk products (cheese, milk powder and so on). Keep in mind that Lion (Pura and Dairy Farmers brands) is Japanese-owned and Parmalat (Pauls) is French-owned when making your decision at the milk fridge. Whether you choose the $1/litre supermarket-brand or the $1.90/litre named brand variety will not, ultimately, make a huge difference until the processors commit to passing those additional profits on to the suppliers. Consider alternative options. Buy milk at your local farmers’ market or through farm-to-home distributors such as Aussie Farmers Direct. This will allow you to take greater control of your spending power.